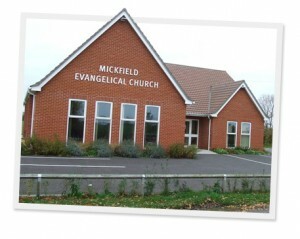 It is very encouraging to receive visitors to Mickfield and whether you are on holiday in the area or just passing by, a warm welcome awaits you. You will find details of our meetings on the Sunday meetings, prayer meetings and growth groups. Our worship style could be described as warm, sometimes humourous but never insincere or flipant and we hold very dear the scriptures and the Gospel message. We are striving to be a ‘Gospel Centred Church’ and while we as humans often fail the Lord in many areas, our church is based wholly on the word of God with no gimmicks or things to sidetrack the central reason the church exists. Thankyou for visiting our website and we look forward to welcoming you to our church.